It's finally here, today is actually Halloween! 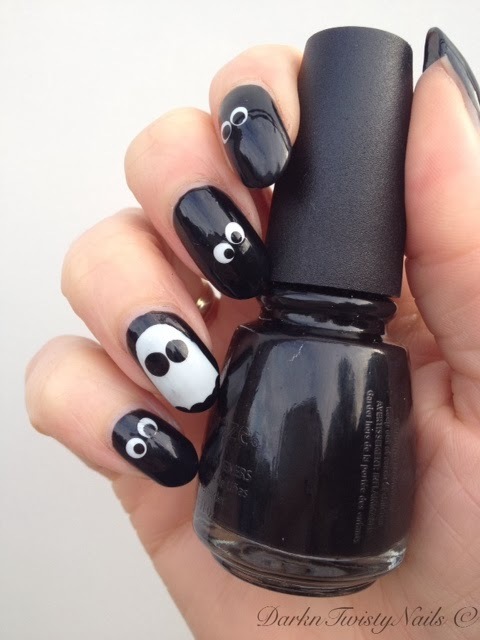 Not that I will notice it other than on my nails, because Halloween is not celebrated here. But I love it and I did do a fun nail art today. I have to say, this might be my favorite art I've ever done and it is really simple. 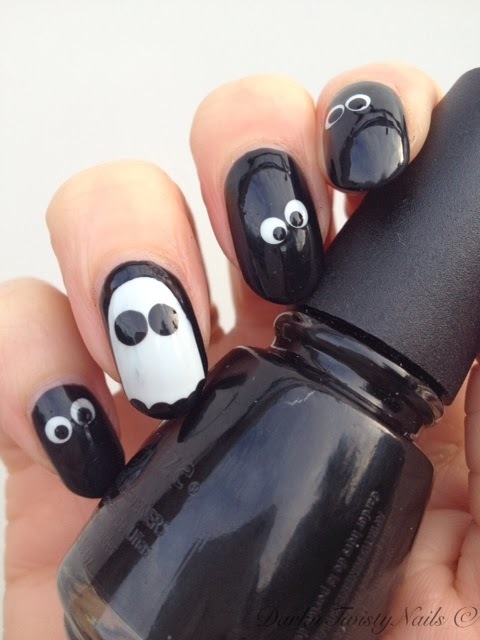 Isn't that fun and "scary" at the same time? 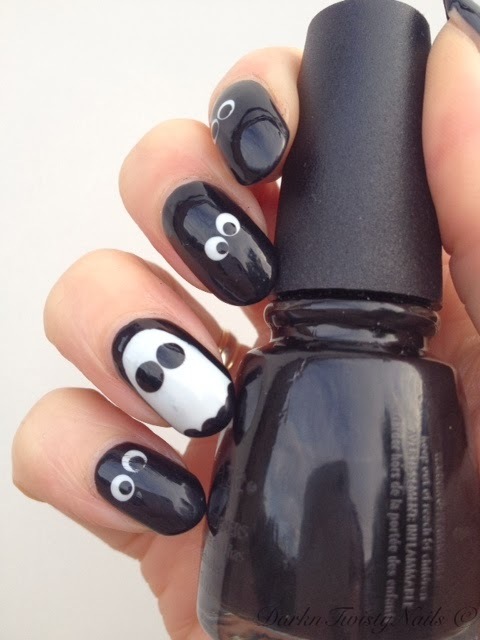 I am already thinking of ways I can get away with this mani when Halloween is over, lol. I used my favorite black and white polish for this mani, China Glaze Liquid Leather and OPI My boyfriend scales walls. I think I'll try a skittles googly eyes mani later, I think that might be fun too. Do you celebrate Halloween and what is your favorite thing to do?